I had a conversation with the president of a mid-sized engineering consulting firm the other day, and ever since I can’t stop thinking about Pablo Picasso. I love this firm. I love this firm because they personify excellence. They are smart. They are true consultants. They are truly client-driven. Their mission is simple. Hire the brightest workforce, work for the best clients, give them the smartest water, wastewater, and stormwater solutions. But that is not their stated mission. Their stated mission is the result of umpteen hours of strategic word-smithing. From their website, their mission is…”to provide a positive, long-term impact on communities and the environment through the engineering of water, wastewater and stormwater projects.” (Yawn). Okay, so that’s what they do. And so do hundreds of other engineering consulting companies. But it’s not who they are. Their mission does not reflect what makes their company better than the next company that also works on water, wastewater, and stormwater projects. This mission will be a forgotten mission, dusted off in a few years by a team of folks ready to word-smith again. The consensus-driven words that fill up this mission will be acceptable, accurate, but not compelling. It will not reflect what has struck me over and over again during the last 15 years about this company – they are really smart, they care a lot about their clients, and their solutions are based in knowing their clients’ needs, knowing the business inside and out, and knowing how their clients fit into the big picture, both in the short-term and the long-term. Isn’t the purpose of the mission to reflect the essence of the company so that it is carried forward by all who know and encounter the firm? So back to Pablo Picasso. 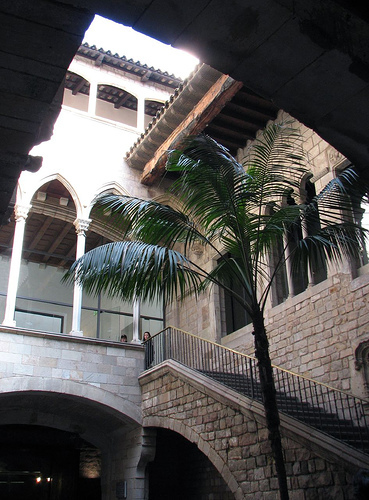 When I was in college I had the good fortune to visit Pablo Picasso’s early home in Barcelona, Spain. It was a museum that housed all his early work, mostly sketches and drawings. I recall being blown away. My very young self did not appreciate the abstract artist Pablo Picasso. But here, in this museum, were the incredible drawings of a young Picasso learning his craft. Beautiful sketches of birds, fruit, and other recognizable items. I realized before he could move on to creating that which does not exist, he had to perfect the creation of that which did exist. It’s the same thing with consulting, be it engineering consulting, marketing consulting, financial consulting, or whatever the consulting discipline. True advisory consultants must perfect the execution and then move beyond their craft. They must be able to see things that didn’t exist before, or put bits and pieces together in ways that others haven’t thought through before. What makes this engineering company special is they are true consultants. They don’t just execute, though they can do that exceptionally well. They are one of a few companies that have moved beyond execution, to truly advising their clients. They guide their clients. They bring more to the table for their clients. They don’t just provide answers, they provide solutions. They are engineering Picasso’s. This is their talent. This is what makes them unique. This is compelling. While on the surface, this mission may seem simple. But this is a mission that everyone in the company can get behind. This is a mission is truly reflective of the choices the company has made and will continue to make in the future about who they are, what they do, and how they do it. It elevates them from the rest of the engineers who can simply perform the work, to engineers that can provide thoughtful solutions that may be different from clients’ expectations, but ultimately better for the client. A mission like this sets criteria for decision-making across all disciplines. Project managers, human resources, accounting, administrative staff, everyone from the newly hired engineer to the 30-year veteran know that the bar has been set for the type of employee that will work at the firm, the type of client that they should pursue work with, and the level of engineering that is expected to be delivered to those clients. This mission has become real. The goals and objectives can now write themselves across all disciplines and functions in the firm. While the definitions of “brightest”, “best”, and “smartest” are debated and redefined at strategic retreats, the core of who this company is will remain – identity intact, with each new year, with each new hire, with each new leader. When we try to focus on ourselves, or our own companies, I think we often miss the mark about what makes us unique, what makes us special, what drives us to do what we do. We spend more time shouting out what we do, rather than communicate who we really are. In doing so, we make things so much harder for ourselves. The next time you’re working on your mission, consider this: if your goals, objectives, and messaging don’t flow easily from your mission, then perhaps your mission is having an identity crisis. You need to think more about who you are, and not just what you do. Great article! Like your blog too! Looking forward to reading future articles. Thanks Tazzem, I appreciate you taking the time to read it! Have a great day.